Let me say that once the onset of inflation begins (it is already started), I do not think it can EVER be stopped without changing the currency/monetary systems. For starters, you can’t have 15% inflation and 0% interest rates… for very long. Sovereign governments as a whole cannot afford even 6-7% interest rates, they could not pay the interest on their accumulated debt. Of course, this brings into play even more “printing” to pay the interest and the hyperinflation cycle gets more gas for the gas tank. My point is this, once the ball gets rolling and it is understood and public knowledge that inflation is running wild, nothing short of a change in the global monetary system can or will be able to stop it. There is ZERO ability of a new Paul Volcker riding into town and jacking up interest rates to quell inflation, this is no longer an option. In fact, there are no options left other than how hard they press on the accelerator (print). There is no brake, there is no steering wheel, there is nothing… other than the accelerator pedal. So, how much is enough? In my opinion, you should have as much as you can afford to purchase. It makes no sense in my opinion, if you know that the currency is mathematically doomed to hold anything more than 6 months or 1 year’s worth of liquid cash. You are receiving no interest and the currency itself is losing value every day. This loss of value will only accelerate as debt increases and central banks print in support. In my opinion, if you have no metal whatsoever you should start with Silver. If you can afford it, 1 junk bag per person per household should be your goal. This amount should get you through with the ability to purchase (barter) necessities. If whatever breakdown that’s coming lasts longer than you spending a bag of Silver for rice, beans and tortillas then we will have arrived at Mad Max world. If this is the case, no amount of precious metals will do and life won’t be worth living anyway. Once you have accumulated 1 bag per person, then you can accumulate Gold. You might want to diversify further with some platinum as a hedge against the insane act of confiscation. I cannot imagine Silver being confiscated but stranger things have already happened. I don’t believe that making a chart of how much you should own really does the trick here. If you don’t have the means, you can only purchase what you can purchase. If you do have the means, the question becomes what percentage of your assets do you want to deploy into the metals and shares. I look at this question differently, I look at it when all is said and done as “how much of your asset base do you not want destroyed.” Personally, I have been 100% invested in the mining shares and metals since 1998 and only kept enough cash on hand for 3-6 months. Yes, extreme but I put my money where my mouth was. As a side note, I did the reverse of what I believe now. I started with the shares and took profits where 50% went into metals held and stored overseas. I used the early growth of the shares to build physical. We surely do not have the time left to accumulate in this manner and unless you started with the shares in late 2008, the profits have not been as easy. If I were starting today, I would begin with Silver, put my serious money into Gold and my speculative money would all point toward various mining shares. The easy answer to the question of “how much” is simple and depends on who you are. ANY metal that you accumulate will be better than nothing at all. I assure you that when this monetary storm hits and what was “common belief” gets swept away, you will see some people that you believed were wealthier than anyone you knew… picking through garbage cans to eat because THEIR money won’t spend. I pray that we don’t get to this point but logic tells me there is no avoiding it. Diamonds are as I understand “more plentiful” now than in the past. It was rumored in the 80s and 90s that Russia had a huge cache that could bust DeBeers. Now there is talk about some “supernova” strike where diamonds can also be found. Smallish diamonds (<2 karats) have been weakish in price over the last year. Also, how would you "spend" diamonds? If they are real, how would you get your "change" back? I don't have a loop and don't have the ability to tell the difference between a cubic Z and a flawless diamond so I would never trade for one. I do have a handle on metal and know that it will "spend" after I bartered for it. Not true, they do not burn. The get charred and thus ruined. Our house burned down last year and my wife’s diamonds were ruined but I assure you they did not get burned up like everything lse in the house. Good read, Bill. Thanks for taking the time to write down and share your thoughts. The question of “how much is enough” is a tricky one for sure. Most of us probably have some rough idea of that but it really is just our own best guess. Others may not have thought along these lines yet. Recently, I was prowling the videos on You Tube when I came across one that was a documentary about life in Zimbabwe and how people were digging and panning for gold to survive. In order to live, they MUST find 0.3 gram of gold per person per day… EVERY day. I thought about this and decided to figure out what this amounts to in silver. I used $1700 for the price of gold because that is a round number that will ease the calcs a bit and because it was near the actual price at that time. Anyway, 0.3 gram is just under 1/100th of an oz. At $1700 per oz., that is $17 a day that these folks need to live. 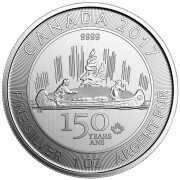 Translating this into silver would mean that they would need $17 worth or just over 1/2 oz. per day, every day. I am the only stacker in the family and there are 8 of us including a daughter-in-law, a son-in-law, and two grand kids. If we each need 1/2 an oz. 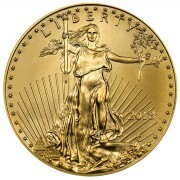 of silver a day and want to be prepared to survive through a dollar collapse for 4 years, that amounts to about 5840 oz. of silver. We do have other resources, such as a large garden, chickens, and rabbits, so won’t have to spend this much to make it through to better times… assuming, of course, that better times come in 4 years or less! So far, I have just under 25% of that stacked, so it is clear that I need to get on my horse, yell, “Hi-Yo Silver!” and ride, baby, ride! Before the price of silver explodes upward because of an imploding US dollar, I must stack more silver. Doubling what I have now would be a good goal for 2013. Excellent work! This is exactly what I was hoping people would do, math for themselves. 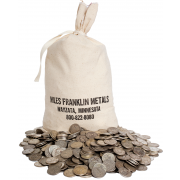 Interesting isn’t it, if you take 8 people times 715 ounces (the amount of Silver in 1 bag of junk) you come out 5,750 ounces of Silver. Pretty darn close to your calculation! I am confident that you will get there since you have a plan and seem both analytical and moved into motion, something that 99% do not have! Awesome read, hopefully I will have some income, but I believe using current silver prices is inacurate, maybe for the beginning, but I suspect the price will rise when inflation is no longer hidden. I am fairly new to pm’s, got interested in the lader part of 07, I remember all the older seasoned guys saying things like, “devils metal”, and stories of the hunt bros. Shortly after I started stacking, I began obsessing about price movement, i started stacking around $14, and remember being irritated about paying more all the way up to about $18. Then I began hearing from many sources that gold and silver were in a huge bubble. 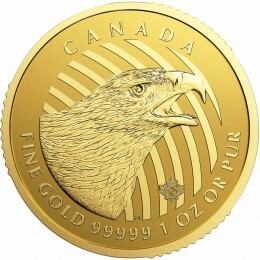 At this time I was (still am) considered by most to be finatical, and people who would roll their eyes as soon as the topic of PM’s would be mentioned, all of a sudden knew on great authority (they would regurgitate what ever they said on the news) silver and gold were in a bubble and going down, big time! I remember asking lots of people if they had any, nobody did. In my family, out of more than 100 of us, uncles, aunts, my brother and house of 5, both my sisters and houses, cousins, on my side and my wife’s side, close friends, Buisiness acquaintances and such, my point is, I remember the housing bubble, at that time most of those mentioned above bought houses, not only to live in, but rental properties. My paper boy bought a house, the guy that worked at the 7 11 on the corner bought a house even, not only did they all buy, most of them spent more than they could really afford, no talk of a bubble, in fact when it started deflating, rebound was all the talk. It is obvious to me, a small % of middle class people understand or have exposure to any Pm’s. Some investment buddies have some mining shares and etfs, but in general, I believe the material to be scarce. I never did stop stacking at $18, I still hear stuff about a PM bubble (and a housing recovery, come to think of it?!) to this day, if I hold $33.00 in one hand, and a Silver Eagle in the other hand, I realize I need more. Until the price is too high, or I stop making money, I don’t believe I will ever feel like I have enough. Thanks for the kind words, your writing is a good read as well…keep on stacking as Gold and Silver are exactly the opposite of being in a bubble!